Our era is one where everything changes at an accelerating speed. This includes the way that students are educated and engineers are trained. Computers, the Internet and Software Applications are the tools that today’s and tomorrow’s engineering professionals shall use to carry-out their duties. the ideal contemporary book addressed to the vocational training should satisfy these new needs. In other words it should bridge and ensure a smooth transition from the era of the book to the era of the software as companion to the book. 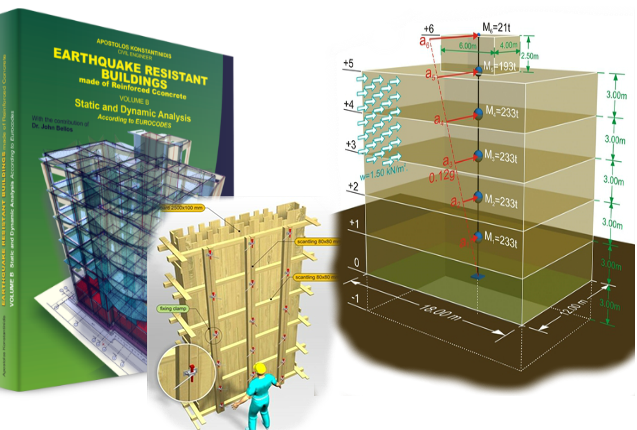 This philosophy governs the book series EARTHQUAKE RESISTANT BUILDINGS,static and dynamic analysis, of which is presented here. This web edition contains an abridged version of the text of the printed book, aiming to provide a fast and easy reading.